The Garmin Forerunner 910XT is the newest in the Garmin family of fitness gadgets. This new 910XT model brings additional swim analytics and power measures (with additional equipment) than previous models. 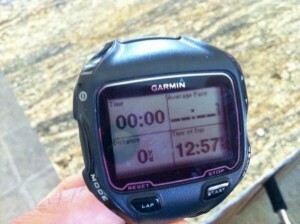 Simply put: The Garmin 910XT is made for triathlon! Slim and sleek in contrast to previous ForeRunner models. The 910XT has GPS capabilities in open water, but also has indoor swim metric capabilities for everyday swim workouts in the pool through the use of an accelerometer. These swimming features were the functions I was most interested in when I first heard about this watch. I jumped at the chance to test this 910XT! When I received the watch, I went directly to the pool to try it out. The watch comes with very short “quick start” directions. Honestly, they weren’t very helpful. There is a larger manual available for download at Garmin.com which I referenced as well. Due to the fact that I have used previous models of Garmin fitness products (namely, the Forerunner 205 and 305 models), I found the screens and options very easy to navigate when I turned on the watch. My first swim with the gadget, was a little frustrating. It does take some time to get use to how to make the watch work for you. You need to personalize your screens and you need to understand how the watch “counts” your laps. The first thing I noticed was that the watch took a few seconds (roughly 10) to “catch up” to my laps when I was swimming. I realized that accuracy was far greater when I hit the lap button when I finished a set (say a 200y swim) before going on to the next set or interval. By hitting the lap button, you tell the watch that you have reached the wall and are going into a rest period. The more I used the watch in the pool, the more comfortable I became with it’s functions. There are MANY screens that you can personalize and it does take time to realize which metrics you need to see to get the desired results for your workout. I wore the watch during many different workouts including short intervals and also long distance indoor sets. I found it the most helpful during those long sets. I LOVED not having to keep count of laps and just being able to focus on form. I don’t think I can swim WITHOUT it anymore! I used the vibration alert functions to help me keep track of long sets. It worked almost perfectly. There were a few times when I swam long sets that the distance was off by 50 yards when I went by the alerts. I do not know why this happened. 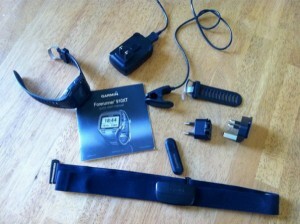 Out of the box with the premium heart rate monitor. The watch also helps to determine your stroke efficiency through the use of efficiency quotients and SWOLF rates. 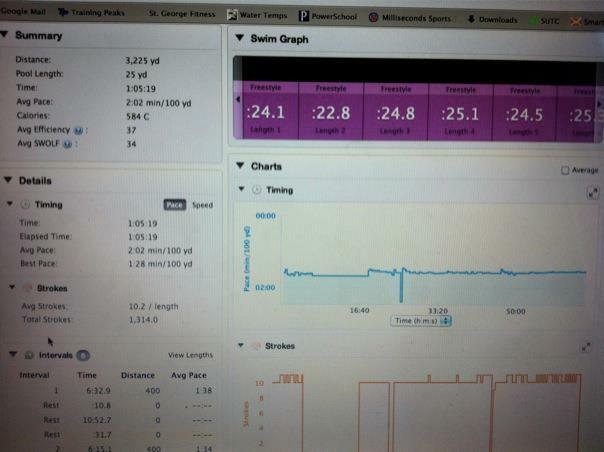 These metrics can be compared at Garmin Connect for different pools, workouts and between open water and pool swims. These are invaluable measures to help you actually swim BETTER, not just faster. I was VERY impressed by the watch’s accuracy in open water. 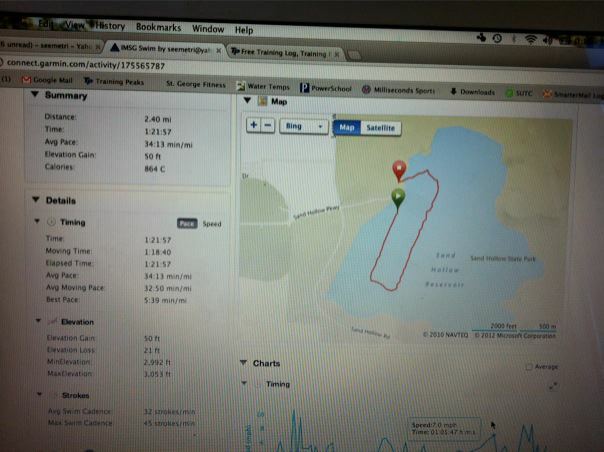 A friend and I both swam the same course with our Garmin 910XTs and in the end were less than 10 yards different in our total distance. I consider that to be EXTREMELY accurate. You cannot match the 910XT with its abilities in open water. The bike functions of the 910XT are exactly what I have come to expect from the previous models of Garmin. I purchased the additional bike sensor and cadence monitor for those increased metrics and the ability to use the bike while indoors on a trainer. My previous knowledge of the bike functions of Garmin made it simple to sync my bike with the watch. The new bike features of the 910XT is the ability to read power metrics with ANT compatible power meters. Garmin has also created a pedal that reads power. I have not used this equipment, nor seen the feature, but the technology definitely sounds interesting and adds an entirely new dimension to the 910XT’s capabilities. It shows that this watch is not just for the novice athlete, but also those needing more features to measure their training. The 910XT can be programmed for multiple bikes. There is no need to reprogram the entire watch when switching from your mountain bike to your road bike or to your wife’s bike. You can simply set up each of these bikes initially and then switch between them as you need. Similar to the bike functions, the 910XT run functions were the same as previous models, which I found simple to use. 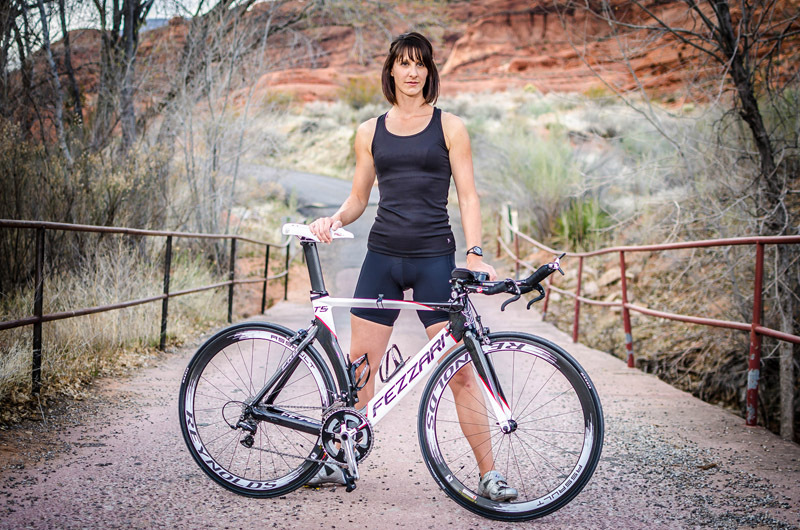 For both the bike and run functions, there are multiple screens that can be set-up to show a host of metrics that you may need or find applicable in your training. The 910XT is compatible with an ANT foot pod, which I did not use, but when used will give the athlete the ability to measure cadence while running. 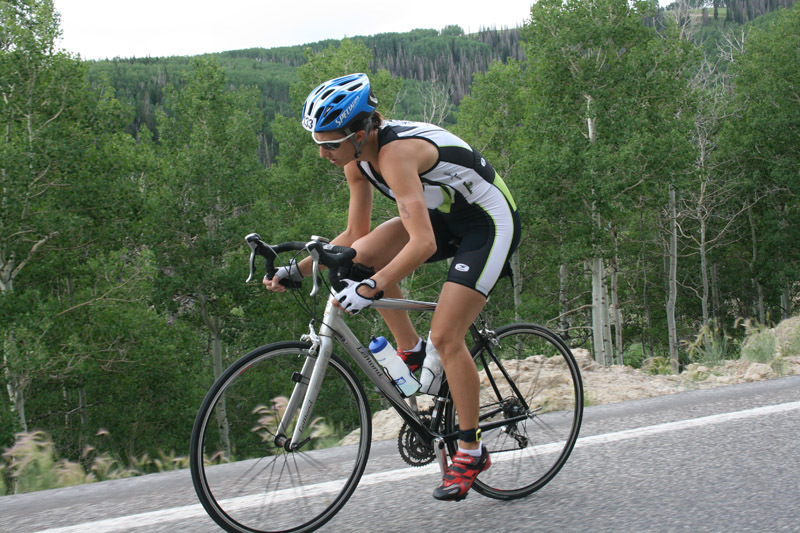 As a triathlete, I was very interested in the auto-multisport function. 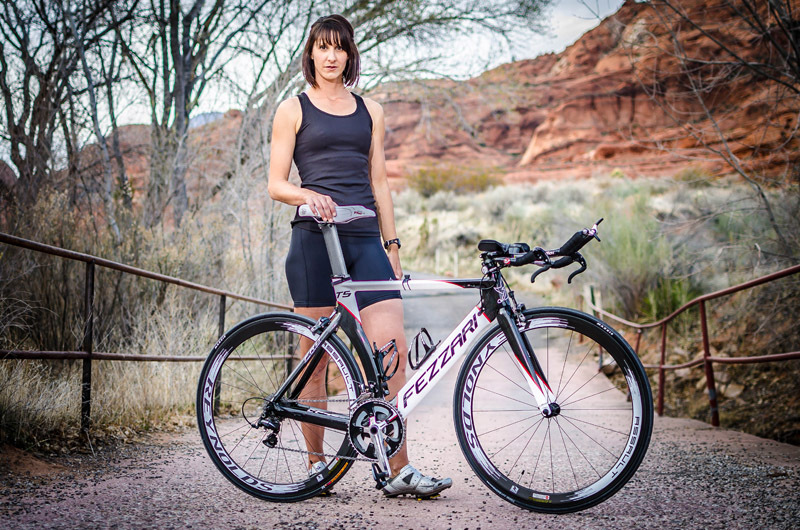 I was never happy with the multisport functions of the previous models and especially their downloading capabilities (which sometimes made downloading the information difficult in TrainingPeaks software because of the way the files were paired together). 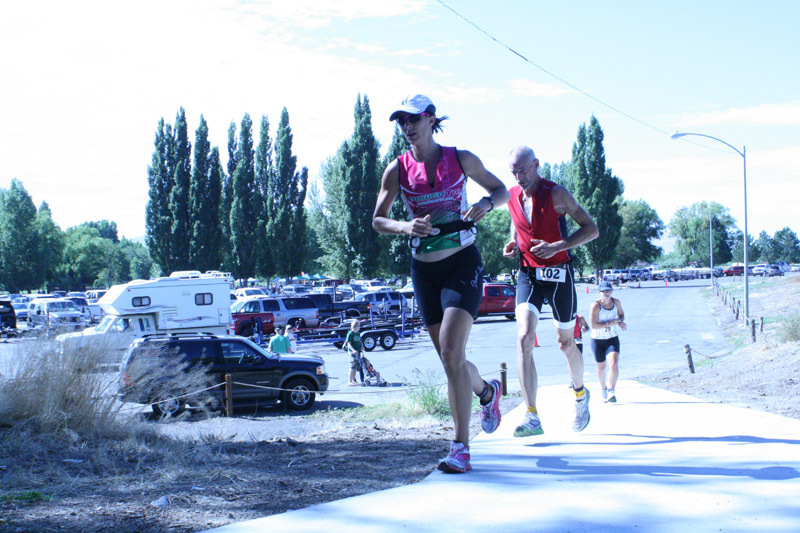 I first used auto-multisport at the Leadman 150 triathlon. It worked great until I inadvertently pressed buttons as my wetsuit sleeves were stripped. 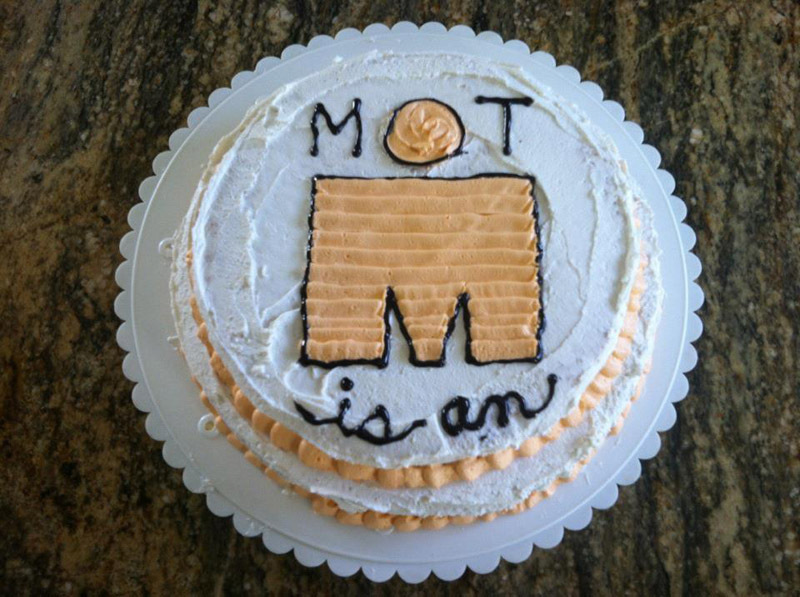 I had to exit auto-multisport entirely and go back to the basic functions on the bike. Shortly, after this race, I found the “key lock” function! (Not in the quick-start manual. I stumbled on it by accident when pressing buttons). 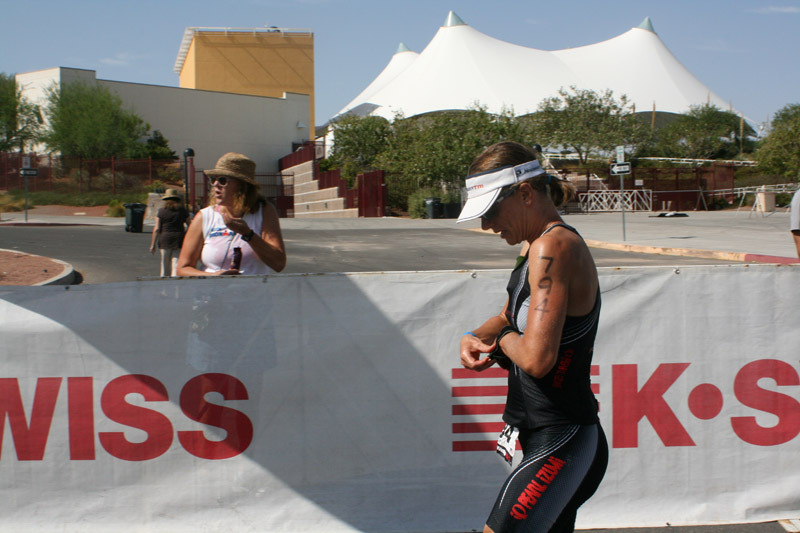 I used it again at Ironman St. George. 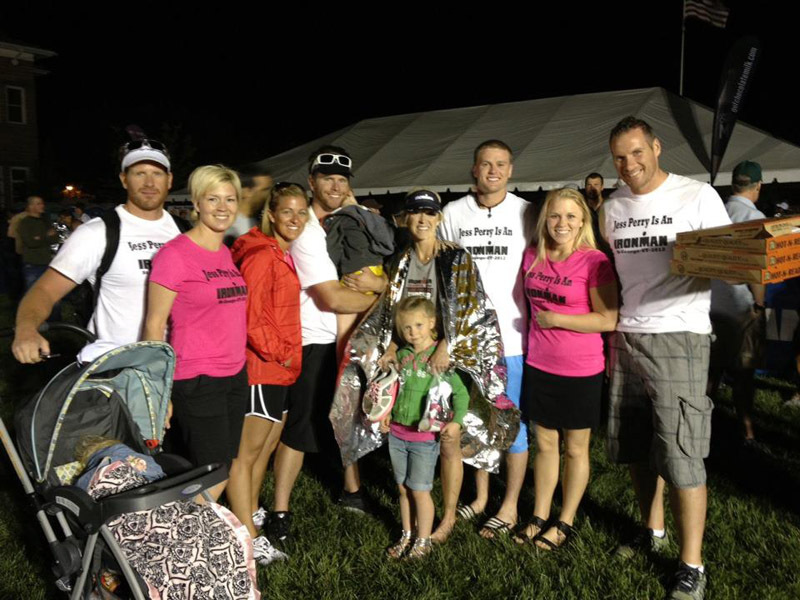 I started the auto-multisport and then locked my keys before I began to swim. 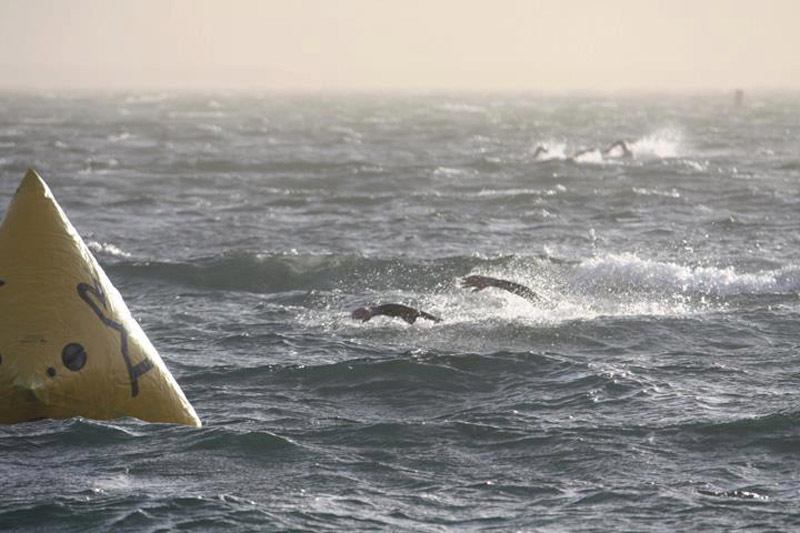 Once I got out of the water and stripped the sleeves off my wetsuit I quickly unlocked the buttons and then pressed the lap button to enter transition. IT WORKED SEAMLESSLY! My splits were almost identical to my actual splits on the race results. I was VERY happy with how everything functioned. Garmin 910XT has ANT wireless compatibility. This is a great feature which allows you to upload data from the watch to your computer (via Garmin Connect) wirelessly. I did find it a bit challenging to set up and download all the plug-ins needed for this function. It was not clear how to accomplish this in the quick-start manual, nor the longer pdf manual online. It took me roughly 2 hours to have everything functioning correctly. Prior to this, I used Garmin Training Center and not Garmin Connect. I believe if I had been more familiar with Garmin Connect, setting up the ANT features would not have been as difficult. 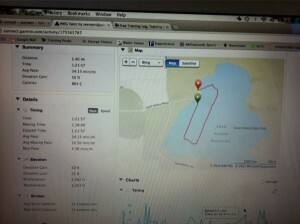 Once I did have everything set up, I LOVED GARMIN CONNECT! The program is beautiful and intuitive. I especially appreciate it’s capabilities to split the multi-sport files into different files on upload. This makes it VERY simple for me to integrate this data into my TrainingPeaks account. 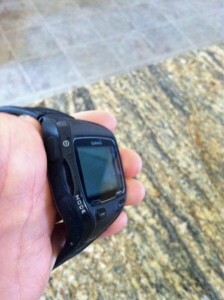 One thing that I really liked with this new Garmin 910XT model was the premium heart rate monitor. This is, hands down, the most comfortable and accurate heart rate monitor I have ever worn. There is no long plastic pieces and the transmitter is actually slim and sleek (unlike the very large bulky ones of the past). I would definitely recommend this premium monitor even as an upgrade to other Garmin devices. Overall, I am VERY happy with my experience with the Garmin 910XT and would HIGHLY recommend it to anyone looking for a new GPS multi-sport watch. I struggle 910XT’s price tag. ($449.99 on the Garmin website for a model with the premium heart rate monitor). It is expensive. When you consider that you will need to purchase additional equipment like cadence/speed sensors, foot pods and even power devices, utilizing all the technology of this watch can be very costly when the basic bike and run functions are available in older models. You can use it right out of the box. If the swim metrics are what you are looking for though, you may find yourself willing to pay the higher price tag for the upgrade. Simply put, you don’t HAVE to purchase more equipment………but you definitely will WANT to purchase more. I know that once I tried this watch, I didn’t want to give it back. I loved the features and it’s ease of use. Once you try it, I believe you will think it is worth every penny…..and maybe more! 1 Comment to "GEAR REVIEW Garmin 910XT"
unfortunately the manual is pretty much useless at showing you how to setup the multisport function for triathlon. Considering this is its prime function, I would have thought some effort would have been put in here. Pretty frustrating Garmin. I also have the Garmin 510. Perhaps you could hire some common sense people to make the manuals a little more easy to use.